“You’re so vain” (Books I think are about me) | Jorge Sette "Linguagem"
← Ignorance, prejudice and the fact that a chimpanzee’s skin is white! I got a funny reaction to my blog post on Wuthering Heights (http://wp.me/p4gEKJ-j0) from an anonymous reader. He or she wrote to me saying: “You are so vain, you probably think Wuthering Heights is about you”. I suspect this is an adaptation of a line of an old Carly Simon song, who allegedly was referring to Mick Jagger. In a way, I found the comment rather amusing, and, to be quite honest, remarkably true. Even more worrying: I tend to think that every single book I love is about me! As a matter of fact, it only interests me if I can somehow relate to it. And I guess this is what happens to every reader, at least the more romantic ones, like me. So, yes, you got it right, dear anonymous e-mail writer. Take for example some of the best books I have read (and often reread) : Dom Casmurro (by Machado de Assis), Nemesis (by Philip Roth) and The Bonfire of the Vanities (by Tom Wolfe). They are really all about me. 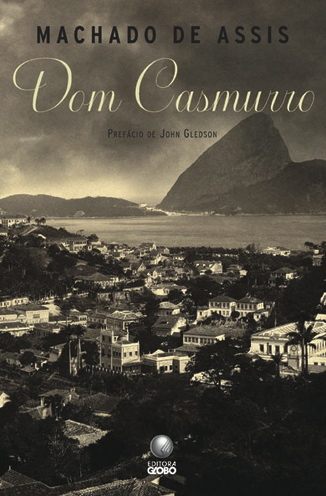 Dom Casmurro, by Machado de Assis. The first time I read Dom Casmurro I was still in high school, and totally fell in love with Capitu. The kiss she and Bentinho exchange while he is combing her hair and she drops her head back, making their faces align in opposite directions, is one of the most romantic scenes I remember as a teenager. Imagine my surprise when I saw a repeat of that scene decades later in the movie SPIDER MAN! This time he was hanging upside down from a wire fence while Mary Jane was looking up. The same kind of kiss. Also, like Bentinho, the main character in Dom Casmurro, I can be quite jealous in a relationship and totally understand how paranoid it must feel to have your kid grow up to look like your best male friend. And the best thing is, every time I read the book again, I find new clues that indicate that Capitu must have been unfaithful, although we can never be one hundred per cent sure, as the story is very cleverly told from the point of view of the narrator only, who happens to be Bentinho, the husband. 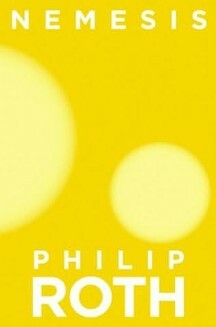 Nemesis by Philip Roth is a very universal story, and if you can’t identify with it, I’m afraid you have a problem. Although I’m not Jewish and am fortunate enough not to be physically disabled (the story is about the terrible consequences of the outbreak of a polio epidemic in the mid-1940s New Jersey), I fully identify with the book’s themes. The main message, as I see it, is, if you are struck by tragedy, if you have a disability of any kind, or anything else people may look down upon or reject you for (and that probably applies to all of us), there is no point in blaming God or the Universe for it. Get on with your life, it’s your responsibility to make the most of it and restore or construe your own meaning for happiness. Or fight back. This is something everyone needs to hear: take full ownership of your failures and problems, and deal with them. No one else will care as much. Tough, but real. 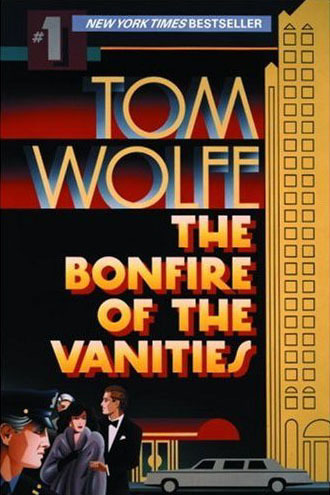 The Bonfire of the Vanities: the main character finds himself in a kafkaesque situation: he gets lost in a dangerous part of the city while driving back from the airport with his mistress, and accidently seems to strike a young black man he was sure was trying to mug them. What a nightmare! Was it a hit-and-run accident? Should they tell the police straightaway? But the wife will find out about the mistress then. Was the kid really hit, all they heard was a little noise (“thok”) after all. Surely the boy was OK. What decisions do they need to make? Mistakes are inevitably made along the way and there are terrible consequences. Moreover, there are many third parties (journalists, community leaders, attorneys, politicians, etc) trying to profit politically from the situation. Nothing is as morally simple as it first looks. Interesting questions. The reader gets deeply involved in the plot and its turns. “Unputdownable”. Besides, it’s very tempting to picture myself living the good life of a succesful Wall Street yuppie in a huge two-story apartment off Park Avenue in Manhattan…without the tragedy! Another book that COULD be about me. So I’m really sorry if the anonymous e-mail writer intended to hurt my feelings accusing me of believing that Wuthering Heights is about me. Catherine, one of the book’s main characters, says at one of the most important plot points in the story: “I am Heathcliff!” Well, so am I! This entry was tagged dom casmurro, languages, literature, machado de assis, nemesis, philip roth, the bonfire of the vanities, tom wolfe, Wuthering Heights. Bookmark the permalink.